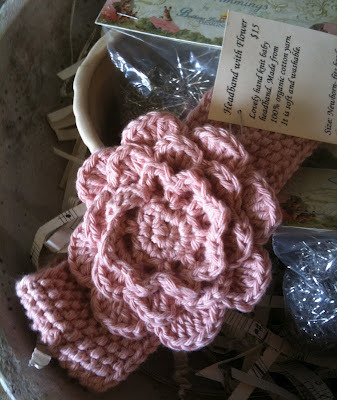 In my last post I mentioned that some of my knitted goods are for sale at Glory Days, an antique shop in Springfield, Oregon. Today I was finally able to make it out there to see how everything looks. They have been having a big spring sale the last few days. I got there just in time to see the tail end of it and hear about how well everything was going. 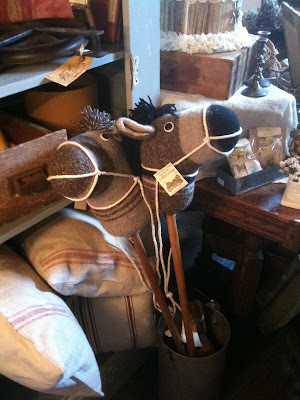 Here are a couple of my hobby horses. 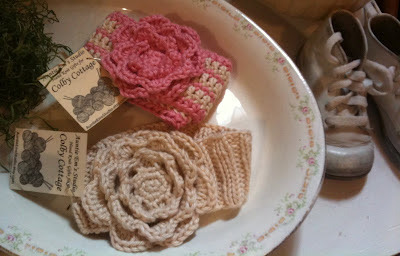 Some of my flowered headbands (one with a knitted band and one with a crocheted band). I've discovered that crocheting the bands is much quicker and I'm getting more comfortable with crochet, so I think from now on the flowered headbands will all be crocheted. A few of my chicks in a nest. I brought three white chicks that I had recently finished with me and two of them sold before I left! 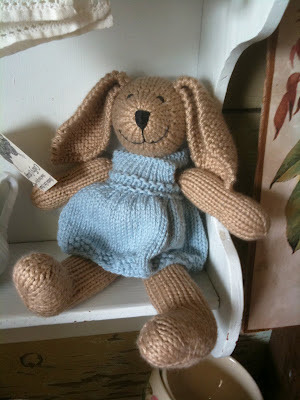 The last bunny left out of the three that I had for sale. 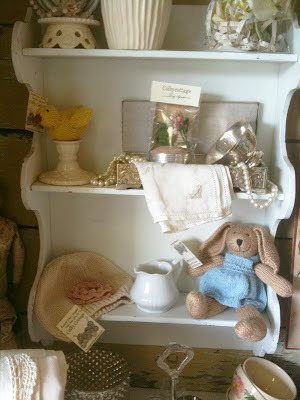 A few of my items on a shelf with other goods. 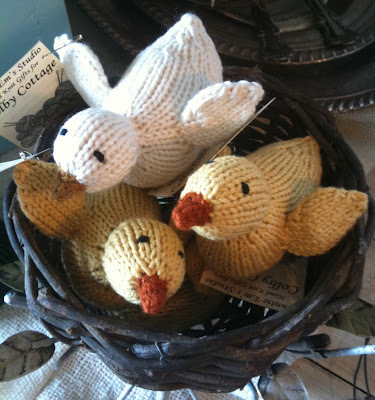 It was wonderful to see things that I made for sale in an actual store! Everything has been doing so well, too. I'll have to continue knitting (and now crocheting) as fast as I can to keep up!